The first time I went skiing, I was five years old. Then I stopped for a few years and went back on the slopes when I was nine. Ever since then, I have been loving it! Sliding down the slopes, earring the crack of the snow, feeling the wind in my hair, having a hot chocolate at the bottom of the slopes. HEAVEN! The last time I went skiing was in 2012, on Mount Ruapehu, in New Zealand while I did an exchange there. And I have been missing skiing ever since! 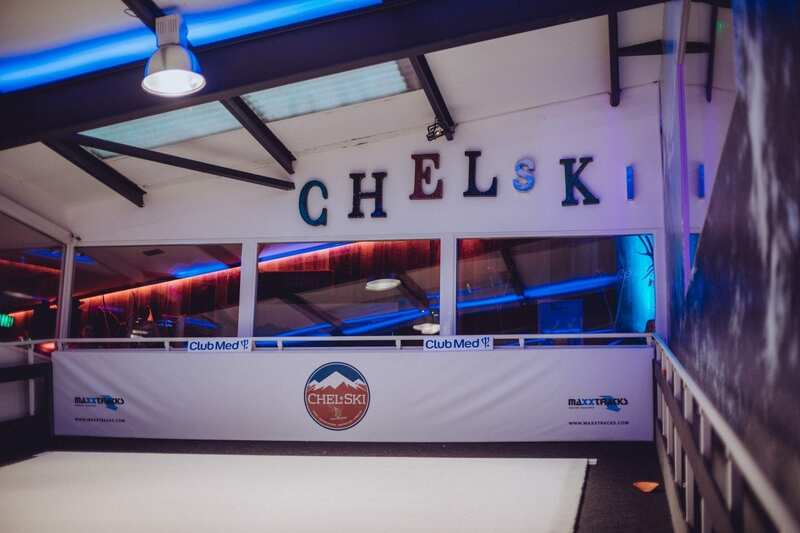 So, when Club Med UK invited me at their #IsSkiForMe event with indoors skiing at Chel-ski, I could not say no! I went to the event with Ana from Faded Spring. We made it to the venue, put on skiing boots, had a mocktail and headed off to the slope! My years of skiing probably made it easier but oh my god, indoors skiing is way harder than skiing on snow! So, how it works is… the slope actually is a giant treadmill! If you don’t slide down, you will get back up. What you are actually supposed to do is slide down while the slope goes back up, so actually, you just stay at the same place. But you still move. Like when you run on a treadmill! On the slope, you have to think about positioning your ankles, knees and upper body so that you go down while keeping in mind that the slope takes you back up. So confusing at first! Which is why it made quite hard. But once you get the hang of it, you are all good to go! I mean, almost. I have not been skiing in five years so I needed to remember everything and positioning my knees proved a bit tricky. Skiing as a kid is so easy. When you are a kid, you don’t care, you are not afraid, you just go. As an adult, fear of falling, of making a fool of yourself, etc is here and can stop you from trying. Once I put that fear aside, I went full on… and fell. Kaye caught my glorious fall on camera and I have included a photo for your delight. But you know what they say, falling does not matter, it is getting back up that does. And so I did. And I had a blast! I also went back on the slope after another mocktail and learnt a bit more. Indoors skiing is harder than outdoors but it was so much fun nonetheless. A new experience that I have genuinely loved! I also loved the typical post-skiing meal which reminded me so much of skiing holidays: tartiflette and chocolate fondue. Again, HEAVEN! So #IsSkiForMe? Definitely! Twenty years since I hit my first slope and still loving it! I might book a holiday to go skiing but in the Alps this time! 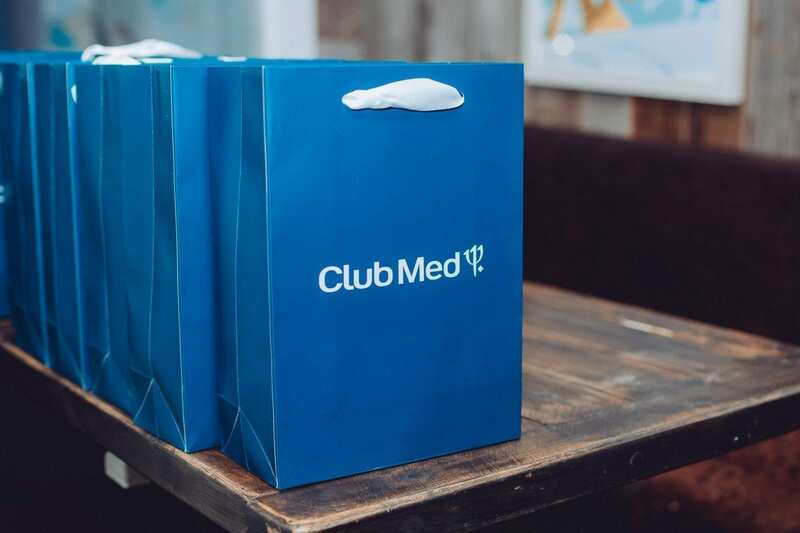 Which of course, Club Med UK offers on their website. The perception is that skiing is very expensive, dangerous or just ‘not for me’. Indoors skiing is a great way for non-skiiers to get into the sport. 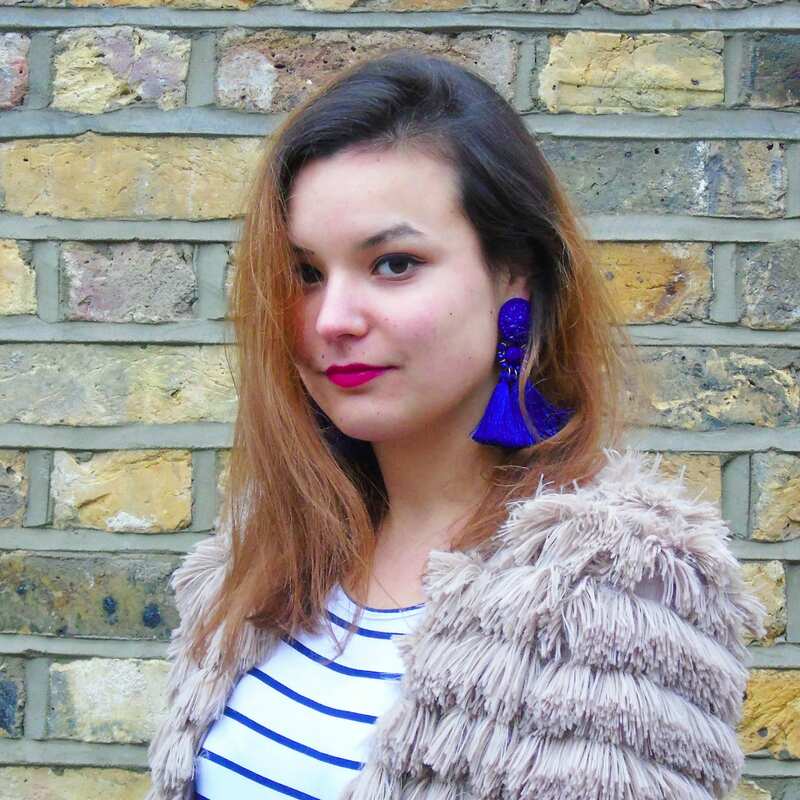 It is easily accessible (literally, in Fulham! ), safe and inclusive. And followed by some amazing mountain food! Try it, you will love it! What do you think? Are you a skier? Indoors, outdoors or both? 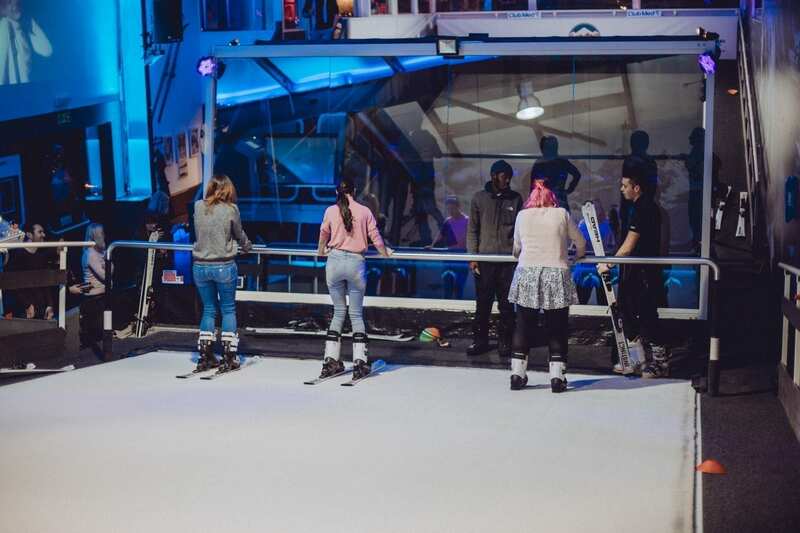 Would you give indoors skiing a go? Just in general, is ski for you? All photos in this blog post are from Kaye Ford. Oh wow! It looks like you had a lot of fun! I’ve never been skiing, I’ve got really bad asthma which is triggered by cold so could never ski outdoors, and I’ve never really thought about indoor skiing! My husband really enjoys skiing though so maybe this would be a good thing for us to do together! I really enjoyed this post! The last time I went skiing was on school camp and also at Mt Ruapehu! I really want to go again with my family but they aren’t so keen on it. This place sounds really cool! I’ve always wanted to try indoor skiing! I love all the photos you took as well! I have never tried indoor or outdoor skiing, just never really had the opportunity to be honest! In my younger days I would def have given it a go but I have problems with my back now and couldn’t risk a fall. Looks like you had a great time and the photos are fab. Thanks for sharing I really enjoyed your post. This post is right up my sisters ally! She loves stuff like this! I can’t wait to send her the link and show her! Skiing has never really appealed to me, I’m not much of a dare devil to be honest and I think it would just terrify me at this age as I’d just be super paranoid of falling over and doing some serious damage to myself! It looks like a really fun experience though and I’m 100% sure my other half would LOVE to do this! What an incredible experience you had! This sounds sooo different, but incredible too! I can only imagine it would feel so weird to begin with as you said it’s just like running on a treadmill. 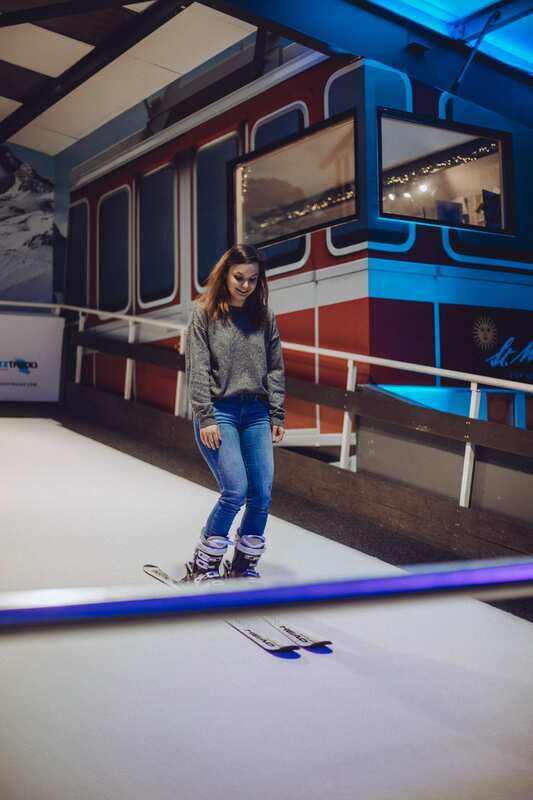 I went dry slop skiing when I was younger with my school, and I loved that – it was so much fun. Thinking about it, I probably would be scared of doing it now though, haha. How cool s this event! I have been invited to a few but nothing this awesome!! I will say though I am over snow living in NY. This would be a blast! I’ve never gone skiing before, but I think I’d like to start doing it indoors to practice some. I’m not even sure if I’m coordinated enough. I have never even heard of indoor skiing. I feel like I have been living under a rock. I definitely need to find a place near us for this! Oh wow! It looks like you had a lot of fun! I’ve never been skiing, But I will do it in this session. 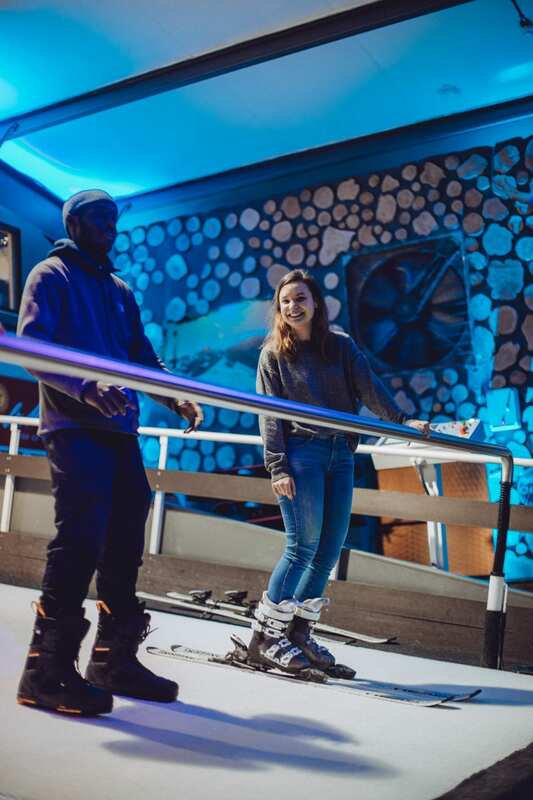 Looks like it was so much fun, honestly I think I would fall face flat since I’ve never gone or done any skiing like at all but I wouldn’t mind trying. I am not a skier at all, it seems kind of hard and my balance is dreadful. This seems like such a fun event, glad you enjoyed it! I’ve never been skiing but I’d love to try it, I’m a bit of a wuss though!! Looks like you had an amazing time lovely! This is such an interesting post because it’s something I would never normally consider doing! I’ve only ever skiied on the artificial slopes they have probably 10 years ago now, and my sister went skiing last year and came back with such horror stories it put me off skiing permanently anyway! However you’ve kind of sold me on this! I have never been skiing. It looks like you had a great time. Maybe I would give indoor skiing a try. Have never tried indoor skiing. I’m a nature lover so I’m not sure how I’d feel about the no “real” snow and being surrounded by trees situation. Looks like you had fun though which is awesome! I haven’t ever been really into winter sports but since moving to Colorado I really want to learn how to ski or snowboard and have to say that this seems like such a great way to get over the fear of falling and basically breaking lol. I used to snowboard a few years back, but it’s mostly done outdoor. One thing that I dislike is the bitter cold winds. I haven’t tried indoor skiing before, now I am a bit curious about trying it indoors. 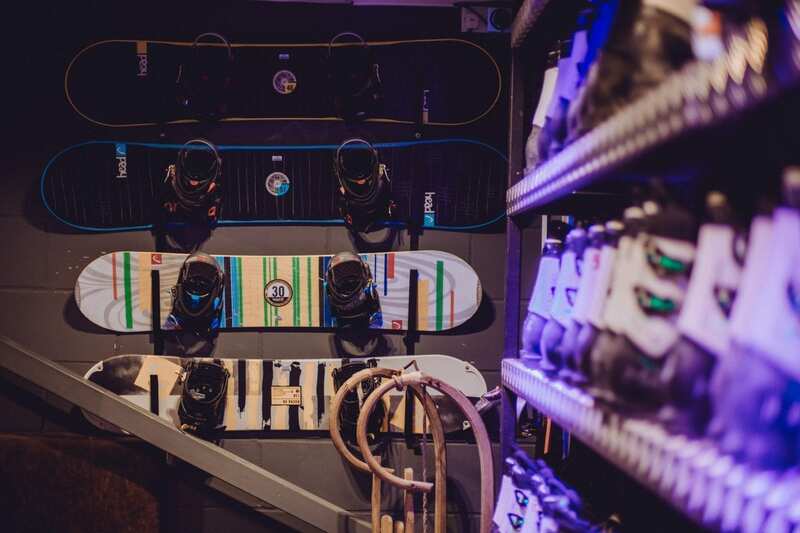 I’ve always heard about these indoor skiing clubs, but haven’t tried one yet. I bet the kids would get a kick out of it. Sounds like you had a great time. 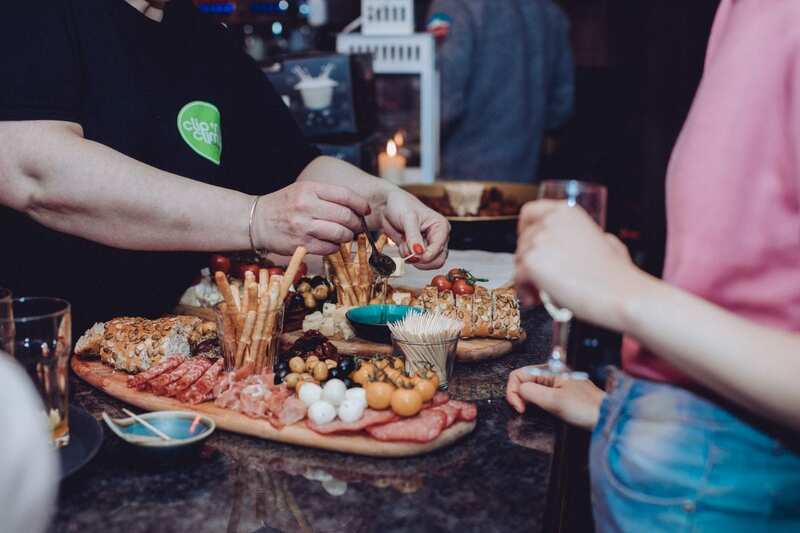 Always nice to connect with other bloggers! Oh wow that looks like so much fun! I wonder if we have an indoor skiing location like that here in Texas?! This look so fun! I’ve never been indoor skiiing before, but now I need to look for a place. I can’t wait to try it out. I’ve never gone skiing only because I find it quiet intimidating. 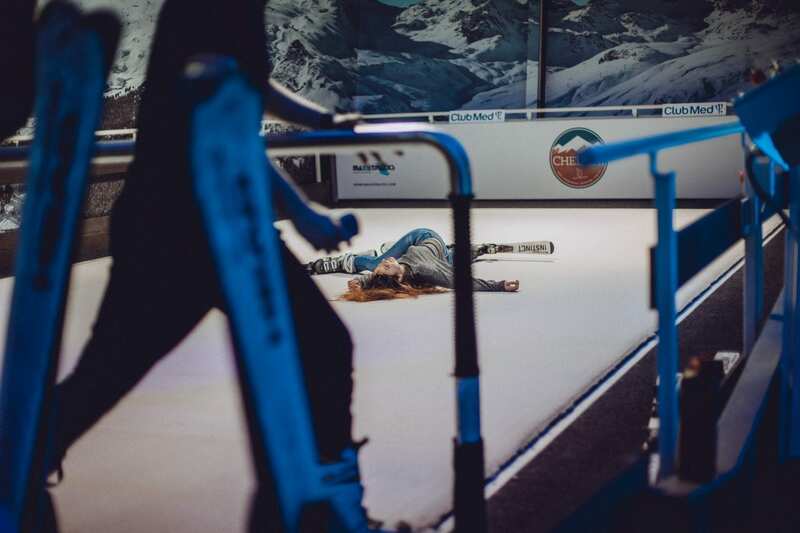 Maybe indoor skiing could be a safer alternative?! Thanks for sharing. I’ve been wanted to go Skiing we are close to the mountain though we don’t get that much snow down here. We have a huge skiing resort open all year long. Wish one day I could finally do it. That would be fun! Did anyone assist to to ski there? I am really afraid of falling down. 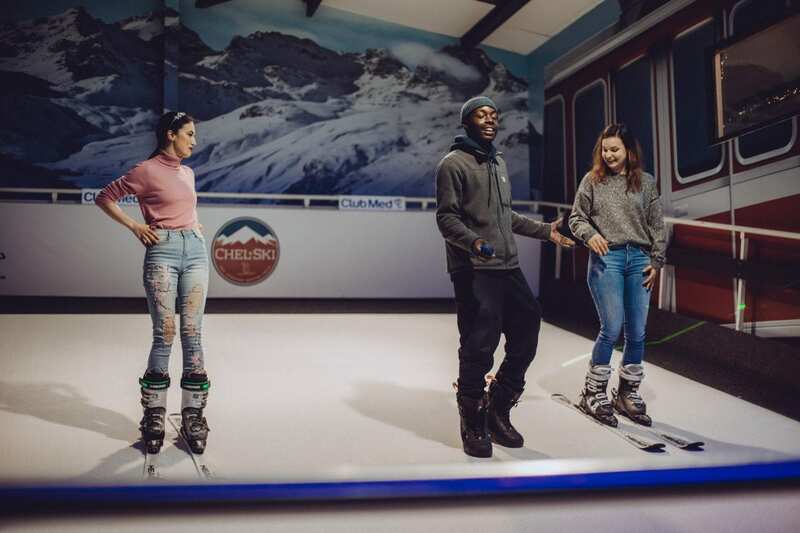 I’ve been seeing a people enjoy try indoor skiing and it looks like so much fun. Although I think i’d probably fall flat on my bum lol. My legs to become so tensed I can do it properly. What a fun experience! I’ve never heard of skiing inside, but I would love to give it a try!